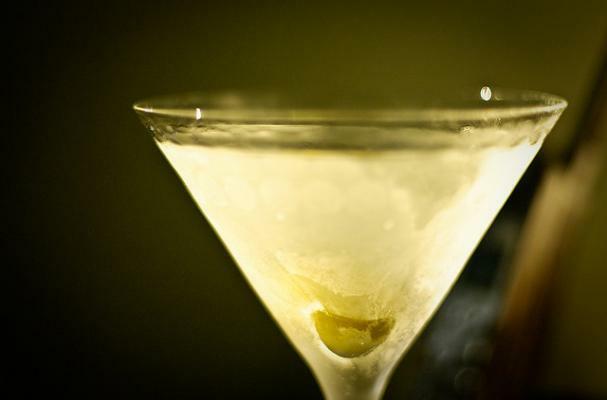 Julia Child's favorite cocktail, the upside down martini, is a straight-up combination of French vermouth and gin. Served alternately in a cocktail glass or on the rocks, this elegant drink will make you feel like you're watching the French Chef all over again. Stirred: Combine gin and vermouth in a mixing glass with ice, stir. Straing into a cocktail glass and garnish with lemon. On the Rocks: Combine gin and vermouth in a rocks glass with ice, garnish with lemon.